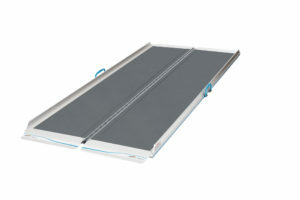 Ramps allow access for mobility equipment such as wheelchairs, scooter and power-chairs. 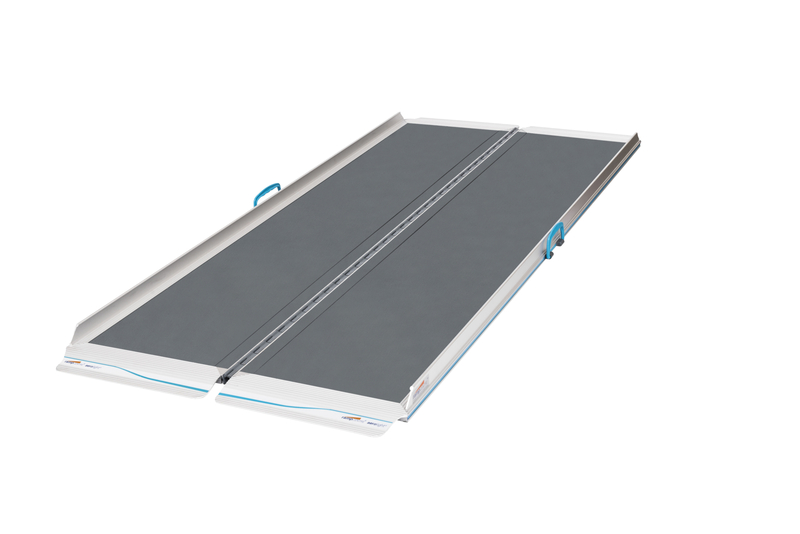 They are available include aluminium suitcase style ramps in either 3′ or 6′ lengths, deluxe suitcase ramps of various lengths, aluminium or rubber threshold ramps and modular ramps kits. 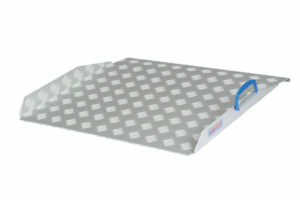 We can also supply a bespoke range of ramps. 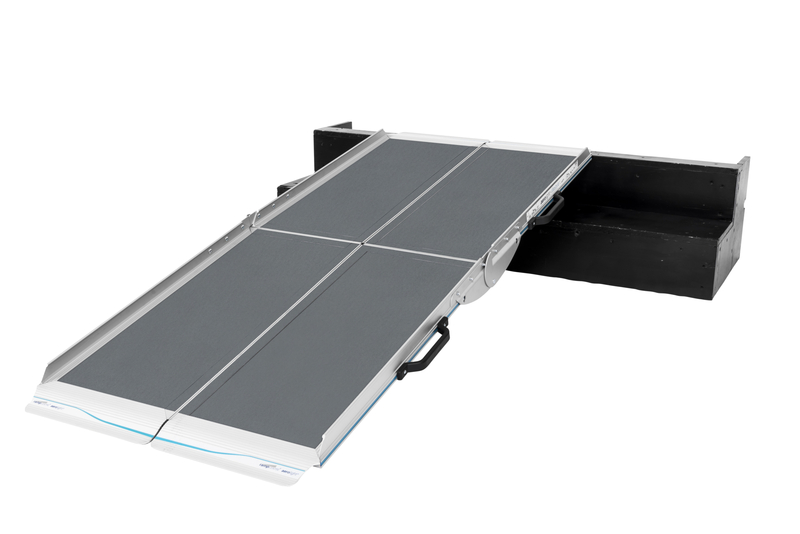 This folding ramp provides a perfect and safe solution for disability and mobility access. 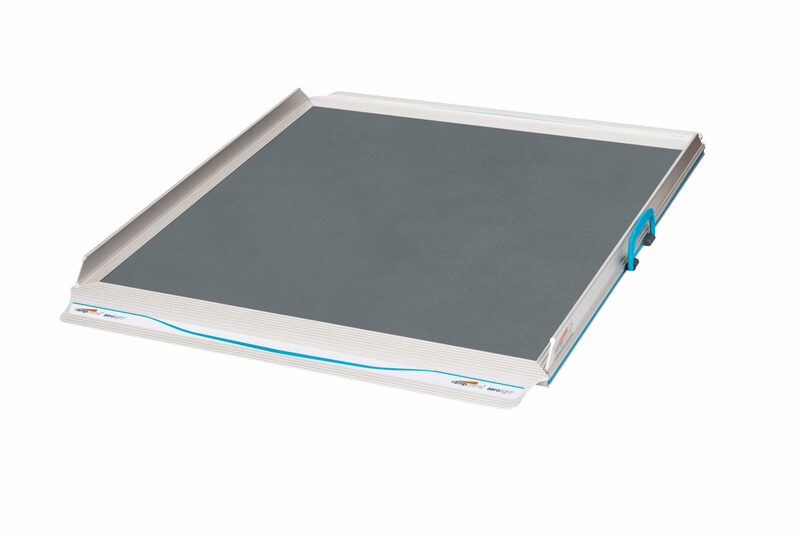 Two hinged tracks simply unfold and can be positioned accordingly for maximum safety and support. These lightweight, aluminium ramps are easy to use and feature raised edges fro added safety and peace of mind. 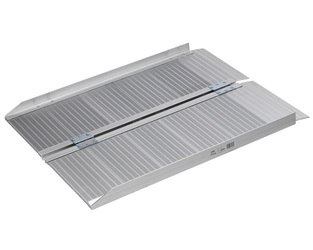 The fixed height design of these ramps means they can be placed over most doorways and easily removed as required. 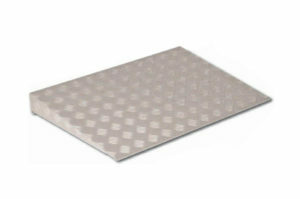 They are lightweight, portable and have an excellent check plate grip surface. Available in three sizes – 60cm (1.9ft), 80cm (2.6ft) and 100cm (3.2ft). If you are an active person then walking over a threshold something taken for granted. But if you are less mobile. then walking over a threshold can be more difficult and even dangerous. The threshold SecuCare help is a brand new solution which has taken 1.5 years to research and develop. The system is made of durable plastic and is 95% recyclable. 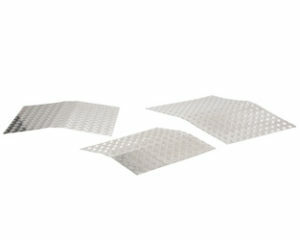 It consists of several components that are clipped together. The system is suitable for use indoors and outdoors. It is lightweight, strong, can be easily dismantled, 5-year warranty, maintenance free, and comes with all necessary installation tools. To assemble you only need to have your own rubber hammer! There are four standard sets, which should be suitable for most indoor and outdoor thresholds. 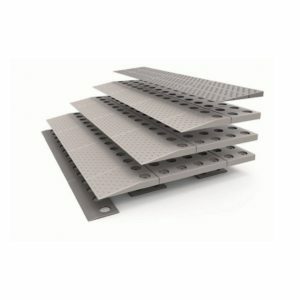 However there are extension kits available for all 4 sets to make the ramp wider if required. In addition there are endless possibilities for customisation: different heights, widths, etc. Whatever the threshold, the Doorline range can cope. 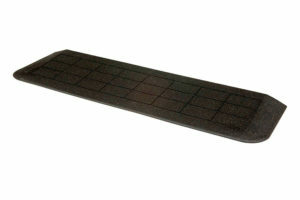 For the few situations our standard range can not deal with, custom ramps can be made exactly to your specifications. 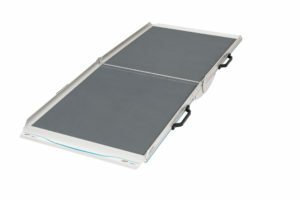 A simple and effective scooter ramp, the Aerolight Broadfold ramp folds to half-length for compact storage.